Home | Christian Life | Beware of Sanballat and Tobiah in your Life! God granted Nehemiah favor in the sight of the Persian king Artaxerxes to return to Jerusalem to build up the walls of the city which had been burned down. The walls around towns in those days were significant for security as well as dignity. In Neh. 1:3, the Jews in Jerusalem were in great reproach and affliction because of the city walls which were broken down. Nehemiah arrived in Jerusalem with hope from the emperor. Help for the Jews had come from God. But two individuals in that area had an entirely different perspective. The scripture above says when Sanballat and Tobiah heard that help had come to wipe away the reproach of the Jews, they were exceeding grieved. Think about that again for a second. The Jews were in reproach, beggarly and vulnerable, and there were people around them who felt better about themselves and took great delight for whatever reason to ensure that the Jews remained in that condition. The scriptures are written for our learning. It should not come as a surprise to you that there are Sanballats and Tobiahs still alive today, and possibly in your world. We should be wise as servants and harmless as doves. There might be people who will love to see others in any distressing or miserable state in which they might find themselves. Some might be making money off the misery of others and therefore have a particular interest to ensure their victims remain miserable. May the Lord expose every Sanballat and Tobiah that might be masking as your helpers in your life! What was Sanballat and Tobiah’s first tactic to hinder the prosperity of the Des? Neh. 2:19? 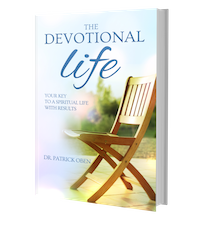 The purpose of this devotional is to remind you to watch and pray and take no strangers at face value. Not every help might be coming from God. In fact, Sanballat and Tobiah offered to help Nehemiah! Your imagination alone will tell you what might have happened if Nehemiah did not discern their weaknesses. Ask the Lord to give you wisdom in your dealing deals with people, brethren or ministers to discern the true from the false.